The James Island Recycling Center is in a state of crisis this morning as it struggles to handle the massive amount of Busch Lite cans flowing in. James Island residents are consuming Busch Light at record levels while also being environmentally-conscious hippies, making sure the cans are recycled so they don’t end up in a landfill. The James Island Recycling Center is expected to see a major shift to Busch Light bottles next week when Anheuser-Busch announces a promo where you can exchange 10,000 bottle caps for a free Busch Light foosball table. Ninety percent of James Island residents are projected to earn the foosball table by the end of the summer. 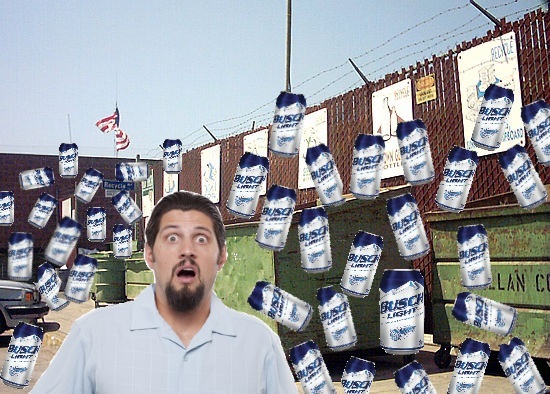 1 Comment on "James Island Recycling Center Struggling To Deal With Busch Light Can Volume"